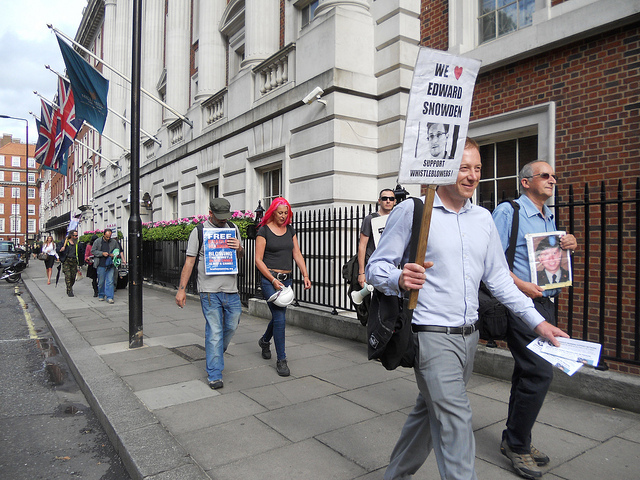 At 5.30 pm the 15 folks began to walk single file to the U.S. embassy carrying placards calling for the freedom of Bradley Manning, Julian Assange, Edward Snowden and an end to the war. 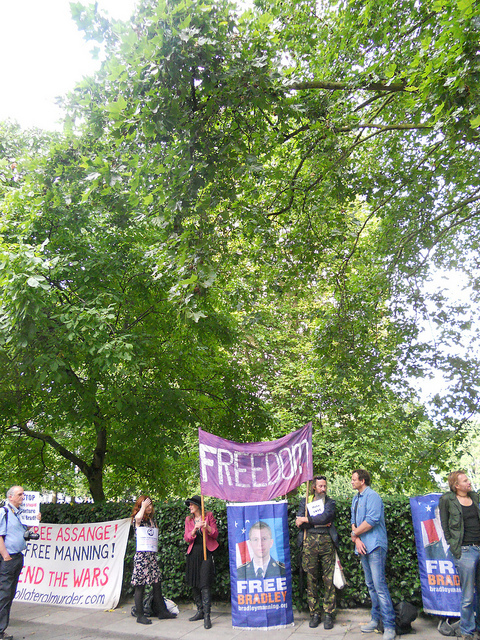 The procession arrived at the U.S. embassy just before the London verdict time of 6pm. 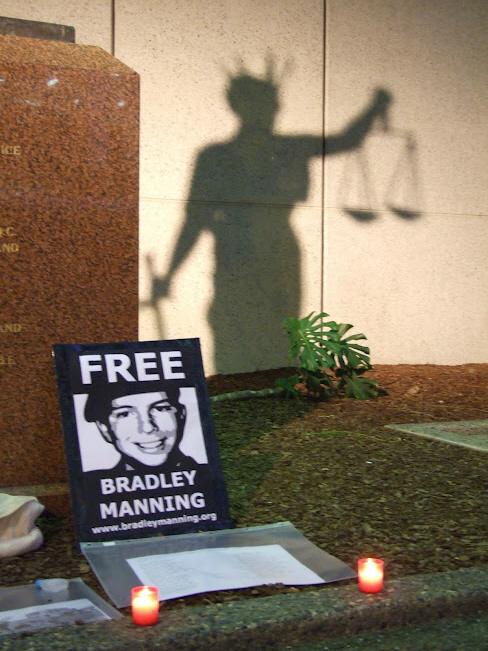 The gathering was addressed by former anti-war prisoner of the United States Ciaron O’Reilly speaking here before the verdict was announced. 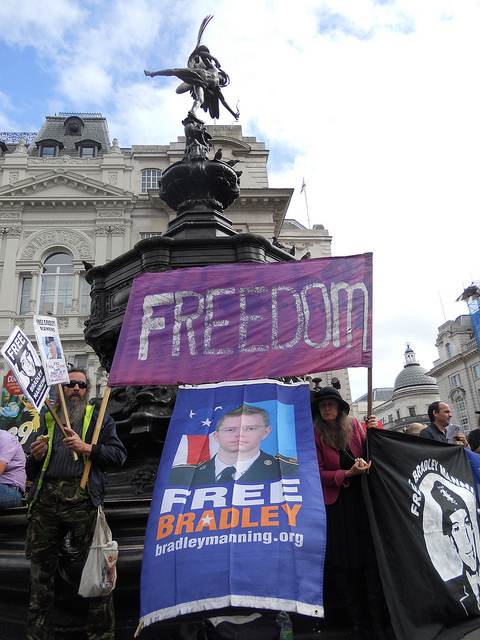 As 6pm struck, the verdict was being tweeted from NSA HQ Ft. Meade; these tweets were read to the gathering outside the U.S. embassy in London. Courtroom sketch of the moment the verdict was handed down. This table by Alexa O’Brien details the verdict and possible sentences for each charged offence. 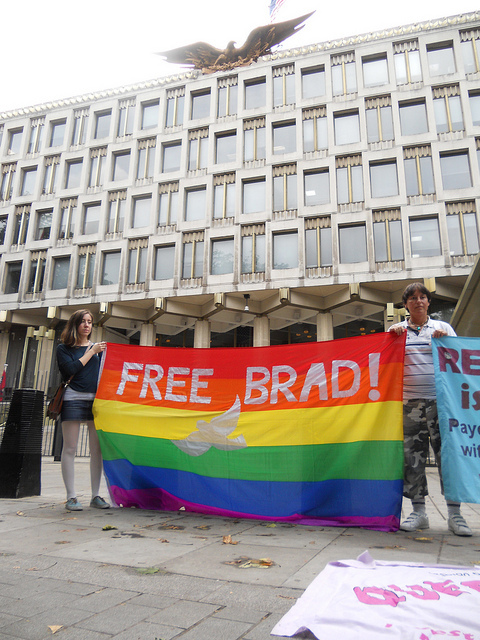 Free Brad! Expose their lies! 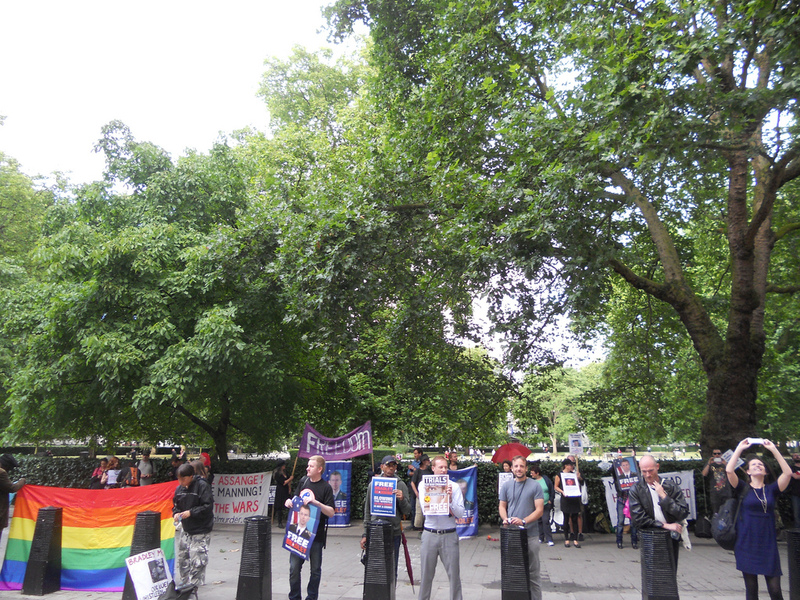 End their wars! Thanks to BradleyLibero for the photos. More here. 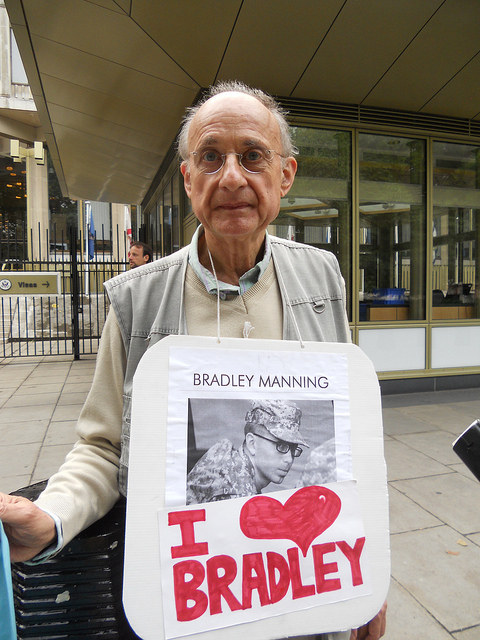 Gallery | This entry was posted in Manning, Reports and tagged anti-militarism, anti-war, Bradley Manning, Catholic Worker, London, solidarity, US Embassy, vigil. Bookmark the permalink.